Completely revamped charts now live for iOS and Android. The design team finished up a complete re-design of the charts experience for users and the iOS/Android teams built and released it. At Asken Diet, we understand how hard users work to eat better, live healthier lives and learn about nutrition through using our app. As you get closer and closer to your diet goals, we want the charts to not only be beautiful but also intuitive and informative to use. We hope users enjoy using the new charts section. We are excited to announce that using Asken Diet to log your meals just got even easier! Our team has partnered with the Sony Network Communications team to add meal photo analysis technology to the Asken Diet app that analyzes users' photos to identify the food (or packaged item) and associated nutritional data. 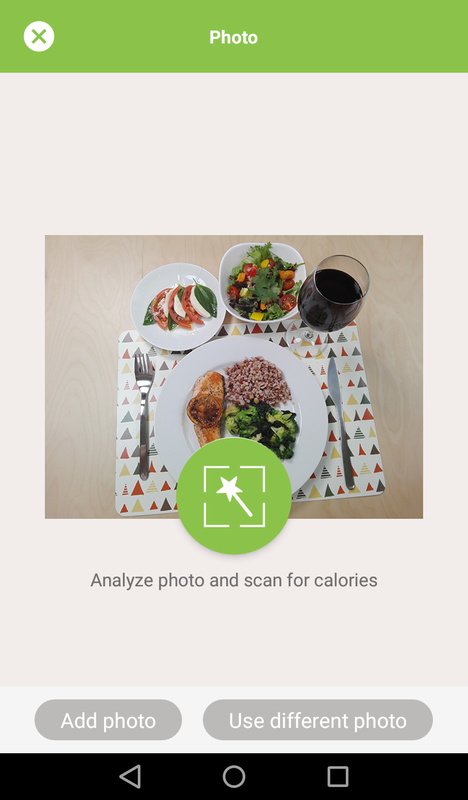 The meal photo analysis tech (currently in beta) is capable of identifying multiple items in a single photo. Taking photos of you food is no longer for simply posting on social media, it is now the quickest way to analyze you meal's nutritional information, allowing Asken Diet users the fastest way to log and monitor their diet. Both Asken Diet and the team from Sony are committed to continually improving the database to further improve the accuracy of the meal photo analysis technology. And as users contribute more images, the machine learning behind the technology will improve as well. The meal photo analysis technology is the newest (and fastest) way users can log their entire meal. Users can also use the integrated bar code scanning function to scan packages or simply typing in the food, restaurant item or packaged food to log and track their meals. Note: meal photo analysis technology is currently only available for Android. iOS version is coming in a future update. Users of the latest Android version of Asken Diet now have the ability to create and add custom meal entries. Over time, the app will be populated with user-generated meal content allowing users to more easily log the foods they have throughout the day. This leads to more accurate health and diet recommendations and an overall improved user experience. Stay tuned for a similar update to our iOS app as well.